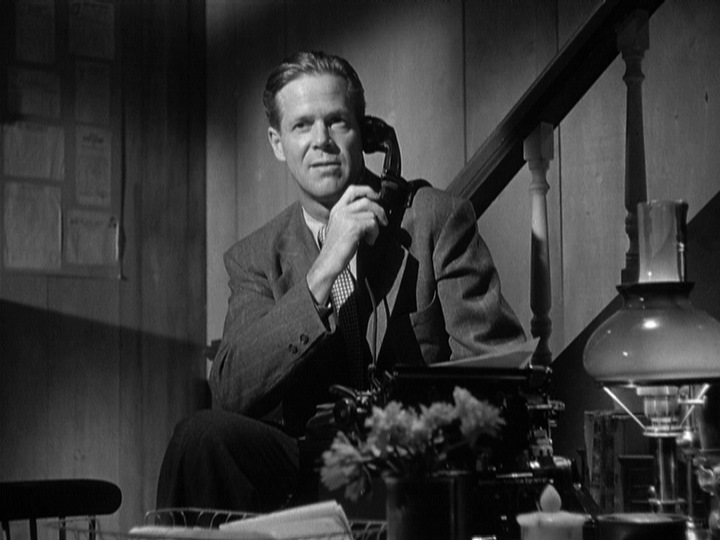 Crime reporter Mike Reese (Dan Duryea) has a nose for news…and an eager hand under the table in return for spinning the truth in favor of moneyed perps. But after he tries to cash in on a story involving a maid accused of a society murder, Reese ultimately finds the courage to reveal the truth and make amends for his tainted past. 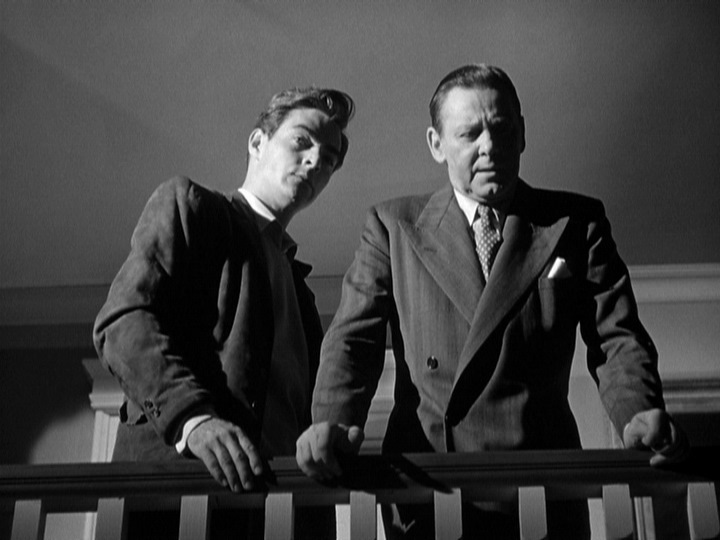 One of this noirish film’s lines of dialogue refers to ancestral witch burnings. 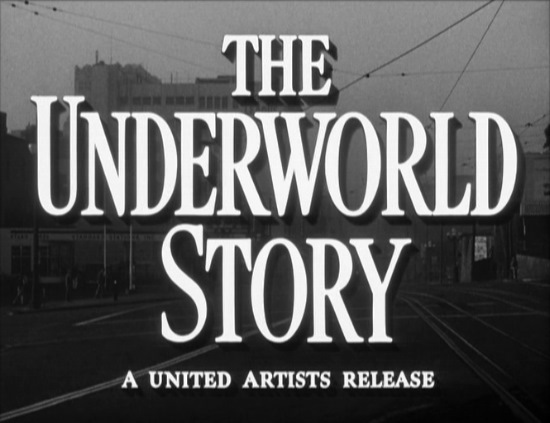 Intentionally or not, the line underscores the imminent blacklisting of The Underworld Story’s costar Howard da Silva plus the director and the screenwriter. 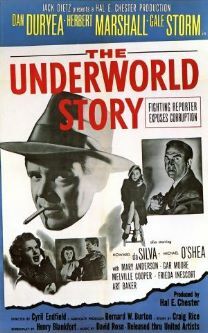 The intriguing story is by Craig Rice, the famed female mystery writer of the 1940s and ’50s who was the cover-story subject of Time’s January 28, 1946 issue. 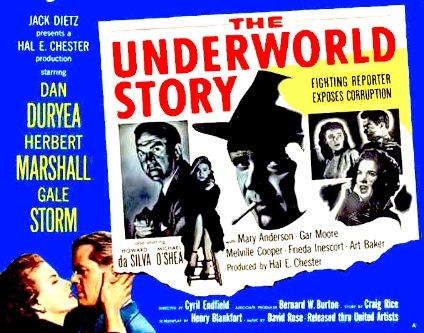 Warner Archive Collection is a treasure trove of little seen film noir classics and The Underworld Story is one of them. 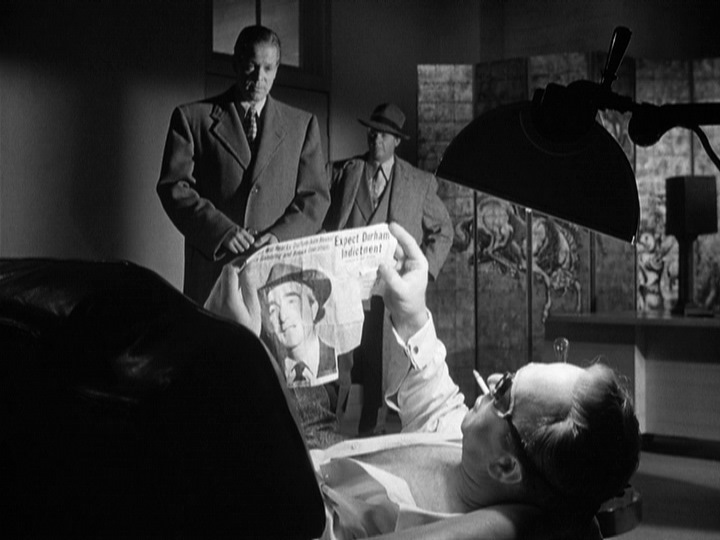 The cynical view of journalism in this film compares to the similar themed next year's classic by Billy Wilder Ace in the Hole. 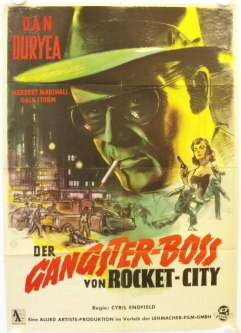 Unfortunately, Cy Endfield is not as well known as Billy Wilder and his blacklisting forced him move to UK where he directed Hell Drivers and Zulu. 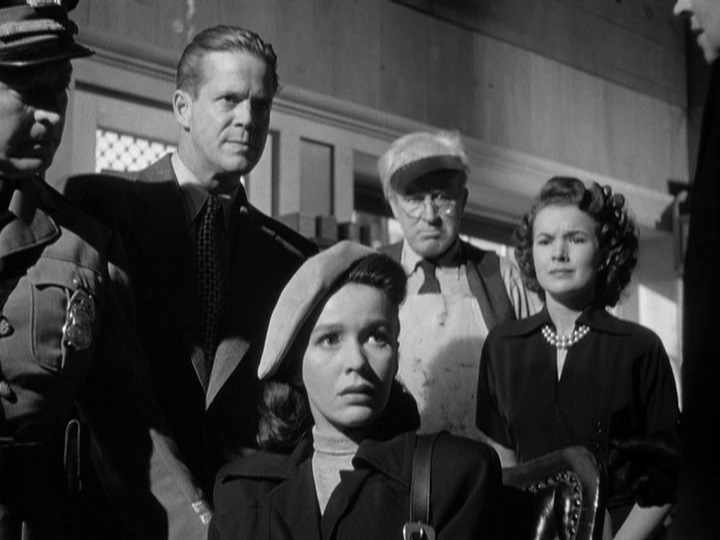 His other dark cinema titles like The Argyle Secrets and Sound of Fury are not yet released on DVD (both were mentioned by Jonathan Rosenbaum in the DVDBeaver article HERE. 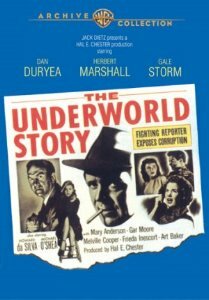 The Underworld Story is a very daring film in its own right, even though a major African American character is played by a white actress. 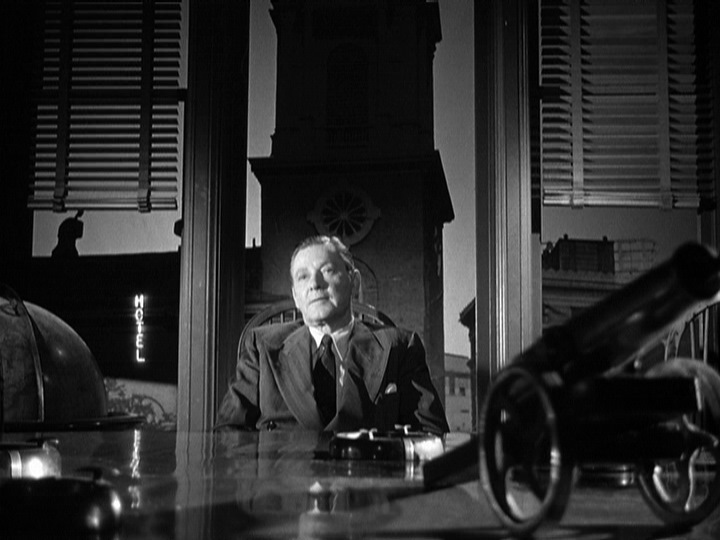 The black and white image, for the most part, looks very good on the Warner release. 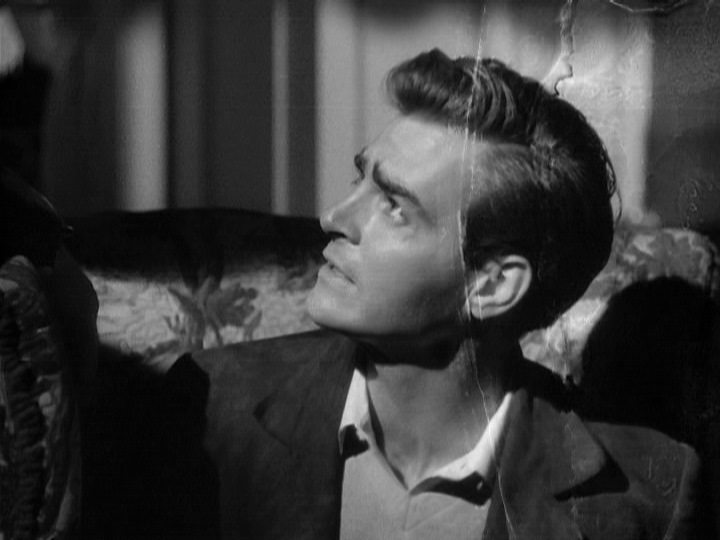 There are a few damaged frames, as seen in a capture below, but I noticed it in only one brief sequence. The audio is clean and doesn't have any issues. There are no subtitles, per usual, and no trailer provided. 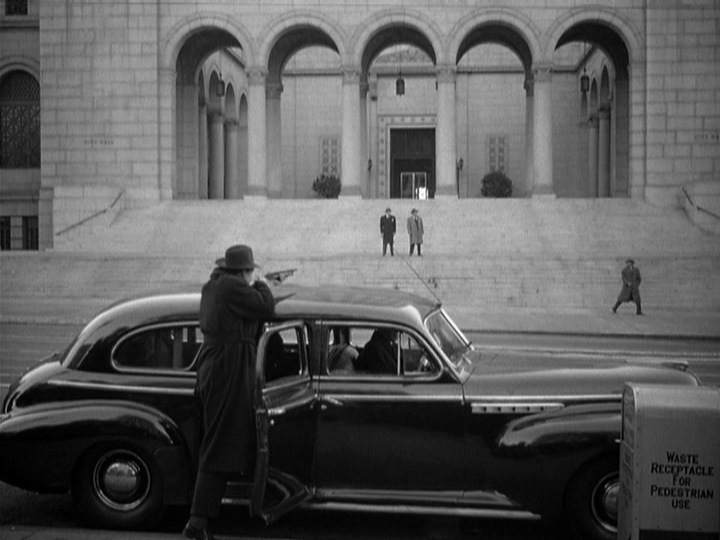 A highly recommended release for a film noir classic that needs to be rediscovered.